The Labelexpo India in Greater Noida is a resounding success in my view. 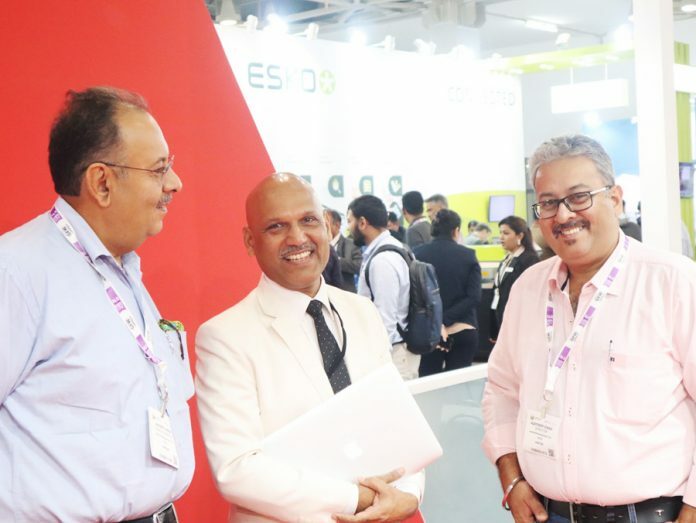 The reason for saying this is that the show brings into plain view a number of serious and exciting developments that strengthen the label and packaging industry converters in the country and in the South Asian region. It becomes clear that the industry has moved away from basic pressure-sensitive labels and is offering a host of developments that add value and variety – an opportunity for brand owners to do more for their products – that is, if they really want to stand out on the shelf and are ready to use really brilliant labels! The variety aspect also means choice and comprehensiveness – that labels are now labels available in India for the complete range of consumer products, special applications for security, track and trace as well as industrial and service applications that are essential to a modern society; labels that are used in the workflows and supply chains of manufacturers and providers of automobiles, blood products, and electronics. The implication of this is that most of the established label converters are doing more than just producing consumer product labels – they are also pitching in to the manufacturing sector and contributing both to the integrity of the supply chain and the Internet of Things. As an instance of this industrial use, in the packaging sector itself the leading converters read a barcode label at every step and materials only move from logistics, to press, to laminator, to slitter-rewinders and to the further converting operations when the barcode is read into the ERP system. I see the same thing when I visit a paper mill to validate its sustainable use of wood raw materials – while each tree doesn’t yet have a barcode (or a chip! ), the purchases and location of the plantation are monitored by an app supplied by the mill, weighed by another app that maps the integrity of the shipment and barcoded labels are generated right from the pope reel at the dry end of the paper machine to the slit reels and the sheet packets supplied for shipment. The labels are necessary to establish the provenance and sustainability of the materials used. There are several great developments at Labelexpo India and I for one think that global manufacturers who have not shown machines here such as Heidelberg Gallus and Mark Andy have missed the boat – this show could eventually be one of the premier label shows in the world and especially because the Greater Noida Expo Centre is a good location that will next month have its own Metro station running. In this vein, Omet, Bobst, HP and Xeikon are very creditably showing running label presses here and one applauds them for this. 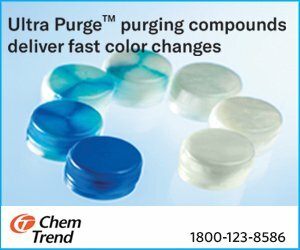 However, the show is really outstanding for the presses and finishing equipment built in India and although there are several here (at least six presses that I know of) in an unprecedented show by local manufacturers, two of the presses stand out – the Nilpeter FB Line and the UV Technologies Ultraflex. The first and most outstanding press at the show is the FB Line from Nilpeter manufactured at its new expanded factory in Chennai. This is the most advanced narrow web flexo press made in India right now and it is being exported to both North America and Europe, as well as Asia and Africa. Of the 20 presses to be made this year, only two will go to Indian customers in India. 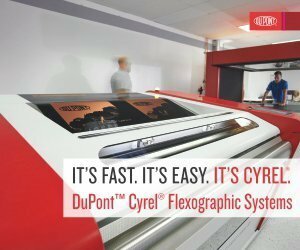 Especially exciting on this press are two new developments that can be genuinely called innovations – the first is a flatbed embossing and hot-foiling unit that is incorporated within the flexo units. Since it needs to stop and start the web for the flatbed embossing and foiling operation, there is a festoon or buffer for the reel so that the rest of the press units continue to operate at fairly normal or acceptable running speeds. 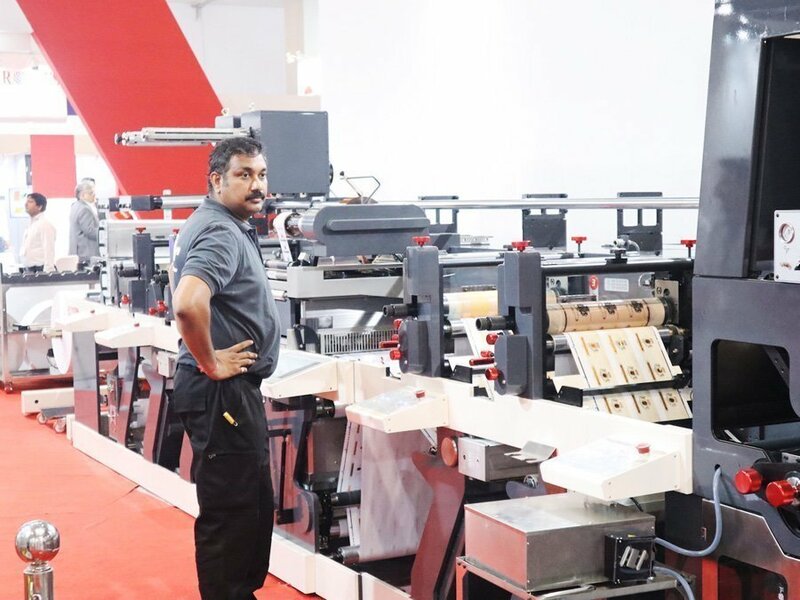 The second innovation is an A tower in the middle of the press being demonstrated at the show, which contains a gravure printing unit – also designed and implemented by the engineers in Chennai. 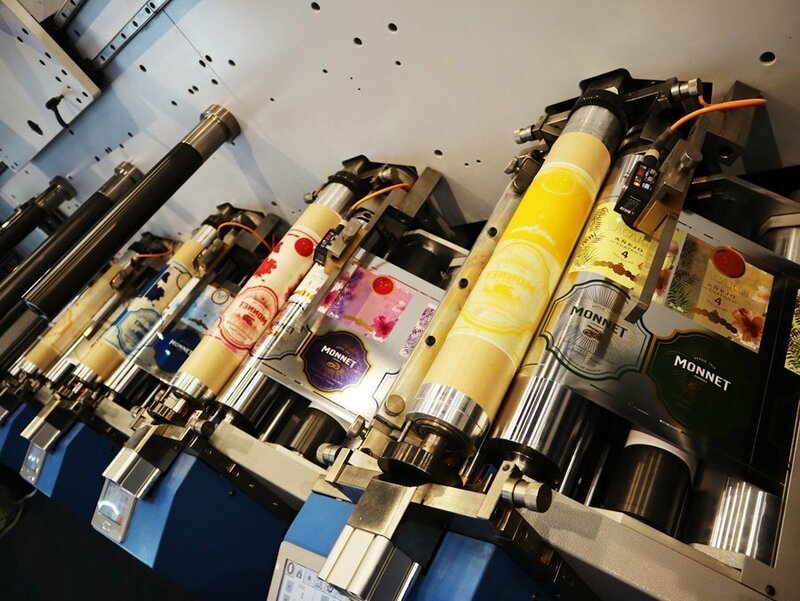 The gravure unit is immensely useful for laying down brilliant gold and silver inks on mid- and long-run labels at a much lower cost per label than the use of hot foil. The gravure unit is also good for economically and smoothly laying down a nice white ink layer on film labels where needed. A gravure unit on a label press is not a new idea, but to see it well engineered and presented as a practical and buyable option is a treat. Applause and congratulations are in order to Nilpeter India for winning the First Prize for Best of Show at Labelexpo India 2018. 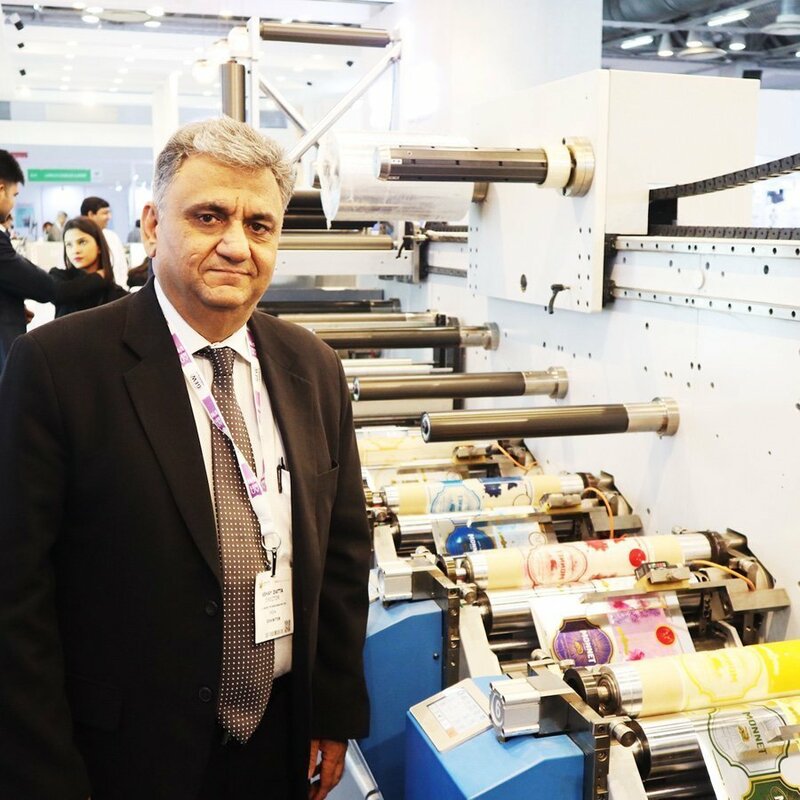 Abhay Dutta managing director of UV Graphic Technologies with the newly launched Ultraflex label press at Labelshow India 2018. The second prize for Best of Show at Labelexpo India 2108, awarded by Packaging South Asia magazine, goes to UV Graphic Technologies for the Ultraflex narrow web flexo press launched and being demonstrated running at the show. Go and see this clean design press running the highest quality labels at the show. Abhay Dutta of UV Technologies told us on the second day that apart from the couple of sales that he had made prior to the show, two deals have already been signed at the show. 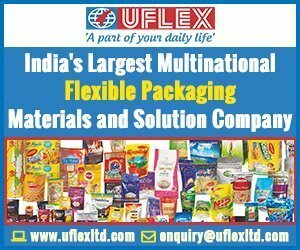 Hempra Multiprints in Pune has purchased a 9-color Ultraflex label press and Solar Press of Noida has purchased an 8-color Ultraflex. Hempra is known for BOOP shrink, heat shrink and barcode labels. In addition to its award for the launch of the Ultraflex label press at Labelexpo India 2018, the UV Technologies stand also wins the Award for Best Stand at the show. UV Technologies’ stand best captures the spirit of the Tarsus Labelshows, which are known to be friendly and hospitable and where there is always time for all visitors to have a proper demonstration and a serious talk with experts. A warm reception, great products and comfortable seating all day long with refreshments and a happy hour every day make this stand the winner.